Cathé Rhodes has plastic bins stored at schools across Alaska with sleeping bags, inflatable mattresses, air pumps and dry food, like granola bars. They're all things she needs as she hops between villages as part of a University of Alaska-run mentoring program that connects new teachers with veteran teachers. The hope is that the relationships will help decrease turnover rates and improve student learning in some of the state's lowest-performing schools. 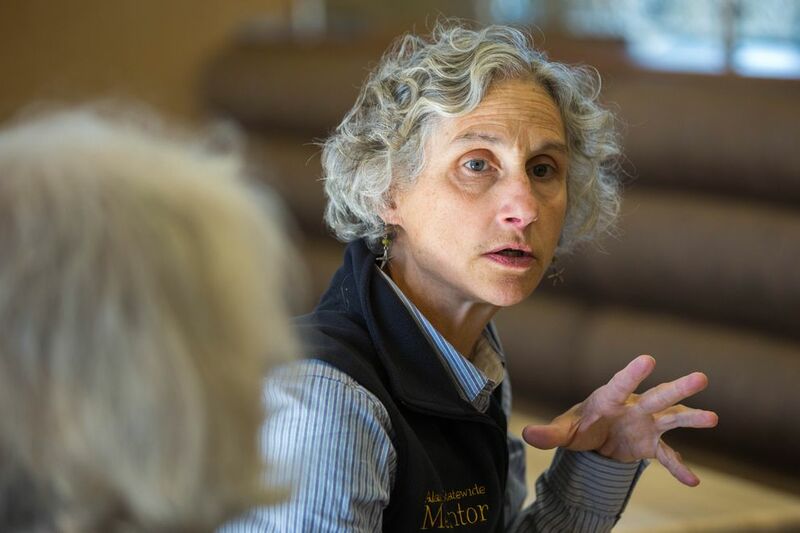 Rhodes has worked for the Alaska Statewide Mentor Project since fall 2004, after she retired from her long-time teaching job at the Matanuska-Susitna Borough School District. The University of Alaska had started the project as a pilot program about a year earlier with just one mentor. It soon became a partnership between Alaska's state education department and the University of Alaska, paid for in part by legislative appropriations in the state budget. But, like many other state-funded programs, the mentoring project has recently fallen victim to dwindling oil prices and the University of Alaska is again running it alone. Steve Atwater, interim dean at the University of Alaska Fairbanks' School of Education, said the project is important to the university system because "good teachers lead to good student performance." And those students "ultimately end up at UA." However, without state funding and with its six-year, approximately $15 million grant from the U.S. Education Department set to expire next summer, the university system will likely have to revise the program, he said. But this school year, it remains intact with 28 mentors dispersing across 160 schools and working with roughly 310 first- and second-year teachers. The mentors will help teachers with lesson plans, teaching techniques and managing student behavior. They will also simply listen and provide advice to teachers who may work in isolated communities vastly different from their own hometowns. "For the rural mentors, it's not so much teaching as it is getting through the pieces that are really so foreign to them," Atwater said. Alaska's mentoring project is based on a model developed by the New Teacher Center, a nonprofit organization in California. The project started serving mostly low-performing rural schools, but has since expanded its presence in urban Alaska using the multimillion-dollar federal grant that also must fund research to gauge the project's impacts. 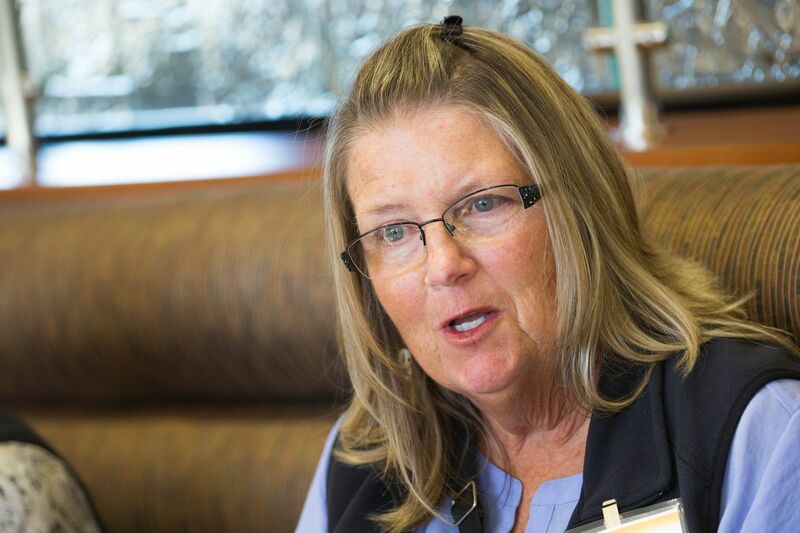 "We saw the success of the rural model and wanted to make sure that we could replicate it," said Glenda Findlay, the University of Alaska's kindergarten-to-12th grade outreach director who oversees the mentoring project. Rhodes, who lives in Palmer, is working in schools on and off the state's road system this year. She said she will split her time among schools in Chefornak, Kipnuk, Platinum and in the Matanuska-Susitna Borough School District. She attended the mentors' first training session earlier this week in Anchorage, sitting down for lunch alongside other mentors and project staff. Each month during the school year, she said, she will spend two weeks away from her Palmer home — visiting each of her schools about six times a year. When she's not at the schools, she's talking to the teachers by phone and email. "This is not a retired person's job," she said. The project requires mentors to go through extensive training. This is Rhodes' second year as a mentor at Chaputnguak School in the village of Chefornak, about 100 miles southwest of Bethel. Four of the six teachers she mentored last school year remain — the fifth moved to Colorado and the other got married and moved to a nearby village, she said. According to the project's most recent statistics, new rural teachers who are mentored are retained at an average of about 75 percent, compared to about 67 percent without mentoring. Alyssa Rushman, a 22-year-old from Ohio, is one of the teachers Rhodes mentors in Chefornak. Rushman is in her second year of teaching. She said that around this time a year ago she received an introductory email from Rhodes. She didn't know what to expect from the mentor program. Rushman had recently arrived in Chefornak, a new home unlike her old. Instead of roads and sidewalks, there were boardwalks. Many homes had no running water. There were a couple of stores and a bingo hall. In Chefornak, she teaches language arts to students in eighth through 12th grades. She described the village as "beautiful." Rushman said her mentor, Rhodes, was "a great sounding board" who helped her with professional and personal problems. She helped her reflect on teaching practices, talking her through what lessons seemed to work and how she could make them better. Rhodes would also bring dinner with her to the village, sometimes pizzas or fresh vegetables. "I just like that we get to have someone come in whose job is to support us and care for us and not evaluate what we're doing, but just to help us reflect and try to be good teachers that stay, because that's what our students need," Rushman said. "And I think that's what all teachers want to do when they come out here." Rushman said she hopes to stay at the school for at least three more years. She said she would feel less confident in her decision to stay if she didn't have a mentor. Other mentors this week talked about helping teachers navigate living in a small village. Mentor Liz Will said she went with a teacher to a funeral, explaining to her that it didn't matter if she knew the person well or not; she had to show support. She said she encouraged teachers to spend money at local stores instead of ordering everything online, even if they only spent $10 a week. "That can help you connect with the community and be accepted," Will said. "It is hard when you have high teacher turnover; people in the community are reluctant to form relationships." In some rural school districts, often only reachable by air or sea, annual teacher turnover rates far exceed those in urban districts. A 2013 University of Alaska Anchorage report said that each year, the range of teachers who departed rural school districts varied widely, from 7 percent to about 50 percent; the comparable range in urban districts was 8 percent to 10 percent. 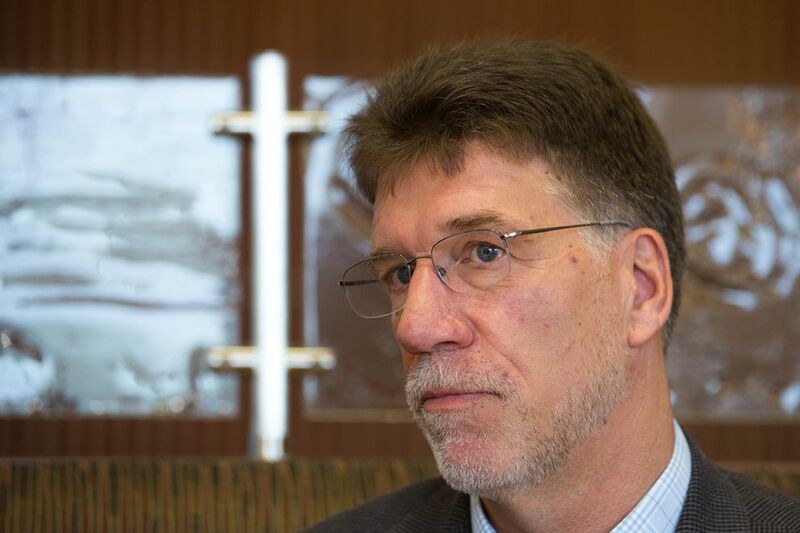 University of Alaska President Jim Johnsen has made graduating more teachers one of his top priorities in a state that has hired roughly 70 percent of teachers from out of state. This year, UA put $750,000 toward the Alaska Statewide Mentor Project to partially fill the gap left from the lack of state funding, Atwater said. That money, plus the federal grant, will pay for the project this school year. By far the largest costs are salaries and flight costs. Findlay said mentors are contract employees with UA and earn an annual salary of $70,000. Next year, UA will likely have to figure out how to continue to do the project with less money. Findlay and Atwater said it could mean less face-to-face time and more connections over computers and supporting teachers from afar. "We're going to be stretched," he said.